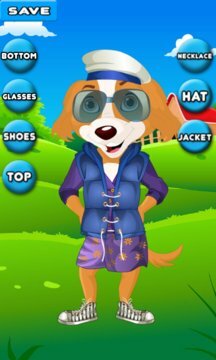 Kids will absolutely adore this dressup game and have a blast by dressing up animals. This is totally new. 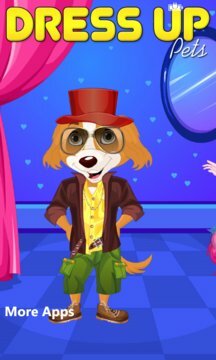 Dress up cute animals with clothes, accessories, etc. Kids, especially girls will find it fantastic to dress up animals the way they want. Dress up animals like Cat, Dog, Panda, Horse and Cow. - Lots of options for all the animals including tops, bottoms, shoes, hats, purses and more. - 100s of different combinations/looks possible for every pet. - Save the final look as a photo in your photo album. - Use the pic as your cute animal wallpaper when in a funky mood!